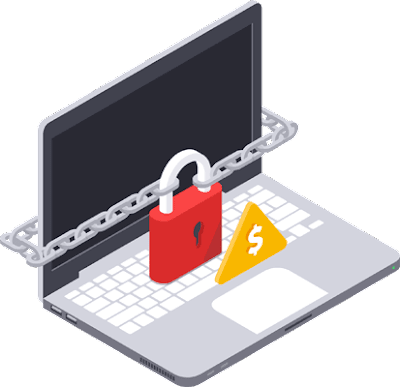 Ransomware is a type of virus that carries out cryptolocker extortion targeting Microsoft Windows which certainly blocks the access to your files inside the folder. Once it encrypts the file, it won't allow you to open the file. When you try to open the encrypted file, it will ask you for a ransom by displaying a message. You have to pay money in the mode of Bitcoin transaction. Until then, it will remain to block you from accessing all sorts of files. Every day, cyber-attackers finding out a new way of attacking module to stop online business and communication all over the world. If you pay the money to them as a ransom, there is no assurance that they will give the key to unlock all your files. 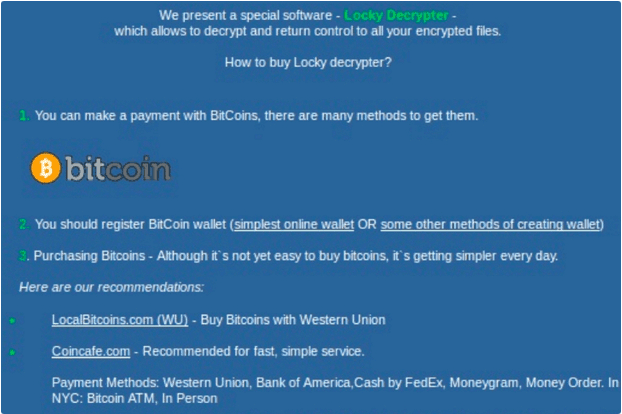 Locky ransomware virus is used to encrypt the files. This kind of virus is very dangerous that can even delete all the encrypted files. You might also like to read: How to find your Wi-Fi password on PC and MAC? Though Microsoft Windows provides patches to Remove/Prevent ransomware attack, cybercriminals keep on working to create a new version of Locky Ransomware. Cyber attackers mainly focused on attacking computer systems used by Schools and Colleges, Hospitals, Online business individuals and other financial industries. They are expecting to get money as a ransom. So that's the reason they have chosen these domains. When your computer system is attacked by Locky Ransomware, the virus will get saved in your hard-disk as a hidden file. An example of Locky Ransomware is given below. Have a look at that. Other modes of the transaction can be easily traced. So these cyber-attackers asking to get paid via Bitcoin method. Since Bitcoin payment is not controlled by any centralized organization or Government, it encourages the cyber-attackers to execute their mission for getting the expected ransom. Locky Ransomware can easily enter your computer system when you download unwanted software applications from malicious websites. Another possible way this ransomware can enter is through downloading .pdf and .exe files via email. Let's see how we can fight against the massive Ransomware threat. There is a small difference between virus and malware. 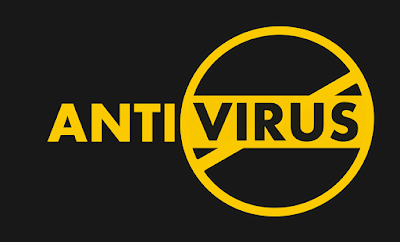 Any virus is a malware but not all malware are virus. Always have good Antivirus and Anti-malware apps installed on your PC to prevent almost all kinds of virus and malware. As new cyber threats are spreading on the Internet, to fight those threats, it is essential to update your Anti-virus and Anti-malware. Avoid visiting suspicious sites. For example, avoid visiting site's domain having Hyphen in its URL. Most URL's with Hyphen is used by Cyber-attackers to copy reputed domain name. Use best Anti-malware application that automatically blocks you from visiting malicious websites. This reduces your burden a lot. I prefer premium protection from Avast and Malwarebytes Anti-Malware. It always works for me. We use Email for day to day communication from anywhere to anyone. 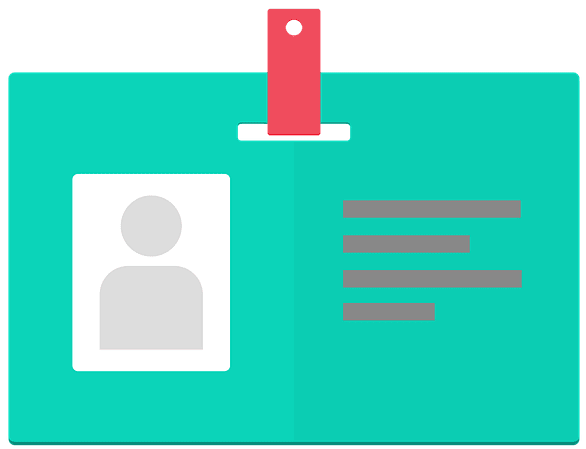 When you receive any new email other than any corporate ad email, check for its identity. Check whether the mail you receive is from your known friend or legitimate company. If you found any .pdf and .exe files attached with the email from an unknown id, simply ignore downloading. It is possible that your friend might be deceived by hackers to send malicious files to all of his contacts. Deception is the main concept handling by all hackers to mislead people. Most of the Ransomware attacks are done via email. If you receive any website link from a suspicious email, do not click the link. In some suspicious websites, without even downloading a malicious software, the file will get auto-downloaded. Your next step is to mark the id as spam and block the suspicious contact or else filter the email id. Assume that your system has been locked by Locky Ransomware and there is no choice to decrypt the files without giving the ransom. In case if you've previously made a backup of your all important files and folders, you are safe. Regularly backup your data using an external hard disk, USB pen drives and DVDs. Hence it will help you to use your files in another computer since your data is in your hand. Prefer cloud storage if you don't have any space on your external hard drive. Cloud-based file storage platform is great to secure your files. Eg., Google Drive, Dropbox and Apple iCloud. People prefer to download pirated software apps if they don't want to buy the premium version of the software. If you are also doing the same mistake, please avoid this activity. Cyber-attackers will use this chance to lock your computer system. On Facebook or any other social media websites, if you see any link that tempts you to download pirated apps or suspicious programs, report the file and block the person/page who posted the link. You might also like to read: How to take a screenshot on Google Chrome/Firefox without any extensions? It is certainly not possible to stop cyber-attackers from spreading the ransomware or any virus. Since it is treated as a business, you need to protect yourself from such attacks by taking several preventive measures. Nice article. I'm backing up all my file to google drive right now. Thanks for sharing!